South Korean hydraulic engineering component manufacturer, Aju Tech Private Limited is all set to build their manufacturing facility at Khed City, Pune. Pella & Carta, the automotive component manufacturer from Italy, signed a MoU with Khed city to set up their genuine leather manufacturing unit. Industrial Park visit of students from S H Jondhale Polytechnic Dombiwali (W), Mumbai on Aug. 31 2018. A batch of around 70 students from 2nd and 3rd year of Civil Dept. Cleanliness Drive at Khed City. Recently, the World Bank released its â€˜Doing Business Reportâ€™ for 2019. According to the findings, India had escalated 23 positions against its rank of 100 in 2017 to be placed now at 77th among the 190 countries shortlisted by the World Bank. The rise of automobile manufacturing units and component suppliers that populate the landscape of outer Pune, particularly Pimpri-Chinchwad, Chakan and Talegaon areas have increasingly earned the label of being the â€˜Detroit of Indiaâ€™ and it continues to draw interest and attract investments. Khed City, one of Indiaâ€™s emerging Industrial cities, is located in the picturesque landscapes of Pune. It has reportedly seen rise in the number of foreign investments within a short span of time. So what makes Khed city one of the most sought after destinations for International brands? Here are 8 possible reasons foreign companies find it profitable to invest in Khed City. Tata Tele Business Services (TTBS), one of Indiaâ€™s leading Enterprise connectivity service providers today announced that it has signed an agreement with Khed City Indiaâ€™s emerging smart industrial city, for fibreâ€“optic deployment. Khed city is one of the sought after destinations for South Korean companies. Post the bilateral Comprehensive Economic Cooperation Agreement (CEPA) set in place with South Korea, investments in both the countries s are on the upswing. Undoubtedly, South Korea is a special strategic partner of India and the acceleration of economic ties between the two nations has led to a major expansion in investments. India is marching towards the 21st-century smart city phenomenon at a fast pace. As government policies roll out the red carpet for foreign investments in India, the countryâ€™s bureaucracy is gearing up for a systematic and well-timed resolution of paperwork for a conducive business environment. Avana Logistek, a new next-generation company and Khed City have signed a Memorandum of Understanding (MoU) to set up its cold chain facility here. How Khed City is Changing the Face of Pune’s Industrial Development? In the last two decades or so, Pune has seen a virtual transformation. Evolving from a charming laid-back town that offered stressed Mumbaikars a pleasant weekend getaway to a mini metro bustling with industrial activity. Puneâ€™s industrial area has seen a major wave of change. 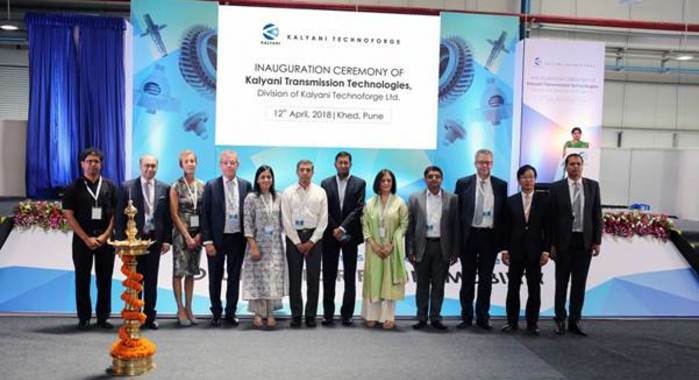 Kalyani Transmission Technologies Ltd (KTTL), a division of Kalyani Technoforge Ltd (KTFL), today inaugurated its world-class manufacturing facility in Khed SEZ, Pune. The plant was inaugurated by Cor van Otterloo, CEO, Punch Powertrain in the presence of Amit Kalyani, executive director, Bharat Forge; Ravi Nagarkar, CEO, KTFL and senior members of the Kalyani Group. This facility, set up with an investment of over Rs 200 crore and spread over 6 acres, will focus on transmission components for passenger vehicles globally. In line with changing market requirements, the new plant is equipped for manufacturing high-performance gears and components to meet the NVH requirements of next-generation CVT, DCT, hybrid and EV transmissions. With end-to-end capabilities, existing expertise and leadership in supplying forgings for transmission components, the company envisions formulating a forward integration strategy to achieve excellence in fully-finished powertrain components and sub-assemblies. Speaking at the plant inauguration, Ravi Nagarkar, CEO of Kalyani Technoforge, said By exploring the value chain of Kalyani Group clean steel manufacturing, precision forging and this forward integration using high technology gear machining coupled with low pressure vacuum carburising under one umbrella will provide us a competitive advantage to produce high quality noise free gears, transmission products and subassemblies. Amit Kalyani, executive director, Bharat Forge, said, The Kalyani Group is now entering into new products for the emerging electric and hybrid vehicles as well as the next-generation passenger cars for the Indian and global market. At full capacity, the facility will employ more than 300 personnel with turnover in excess of Rs 500 crore by 2022. KTFL is one of India’s leading auto component suppliers with three manufacturing facilities and turnover of over Rs 700 crore. Engaged in the manufacture of forged and machined products for automotive customers globally. KHED CITY Welcomes New Member in the Family “Hengtong Optic-Electric Co. Ltd.”, from China. Hengtong Optic-Electric India Pvt. Ltd is the 51st wholly-owned subsidiary. Hengtong Optic-Electric Co. Ltd and its wholly owned subsidiary ABERDARE HOLDING EUROPE B.V will invest more than 25M USD in the first phase and another 10M USD in the future. Maxion Wheels Chooses Khed City. The Agreement signed on March 23, 2018 . 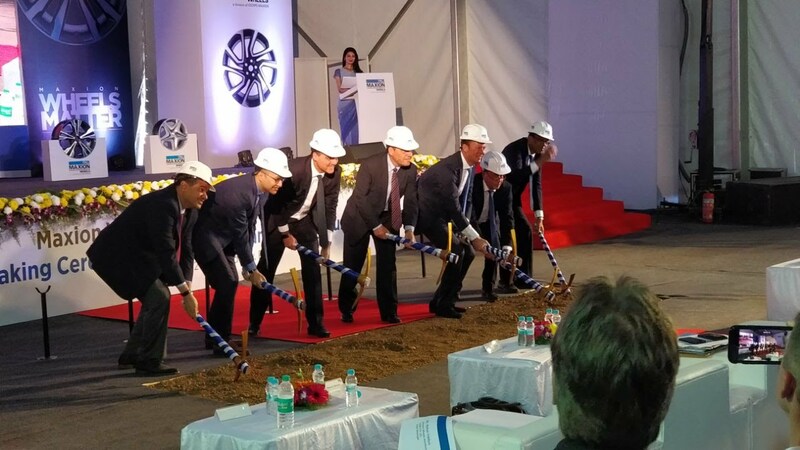 Maxion Wheels, the world’s largest automobile wheel manufacturer, producing 56 million wheels per year, is all set to build a new manufacturing facility in Khed City. Spread over a 20 acres land parcel, the plant will have an annual capacity of 2 million wheels in the first phase. The company eventually intends to boost its capacity to 4 million wheels and is expected to invest Rs. 350 Crores in this facility. Maxion Wheel’s new wholly-owned operation will bring more than 500 new jobs to the region. The company serves its global OEM customers from 28 locations in 15 countries across five continents. The company already has a presence in India for more than 20 years supplying light and commercial steel wheels to OEMs. The company’s wide portfolio also includes wheels for agriculture, military vehicles as well as other off-highway applications. Maxion Wheels, the world’s largest automobile wheel manufacturer, producing 56 million wheels per year, is all set to build a new manufacturing facility in Khed City. Hira Industries expands in Khed City. Hira Industries, Hira Group, a pioneer, a leader, which caters to industrial segments across MENA such as HVAC, MEP, Civil Construction, Infrastructure, Aluminium, Glass, Marine, commercial, residential and industrial projects decided to expand their operations in Khed City, Pune. Khed City Marathon was held on 12th November 2017, Sunday. We had much admirable participants. Which are view in our Gallery as follows. Hira Industries, Hira Group, a pioneer, a leader, which caters to industrial segments across MENA such as HVAC, MEP, Civil Construction, Infrastructure, Aluminium, Glass, Marine, commercial, residential and industrial projects decided to expand their operations in Khed City, Pune. MoU has been signed between Khed City and Hira Industries in Oct. 2017. This facility will manufacture XLPE and NBR insulation foam. Hira Industries already have once facility in Khed City and this will be the second facility. 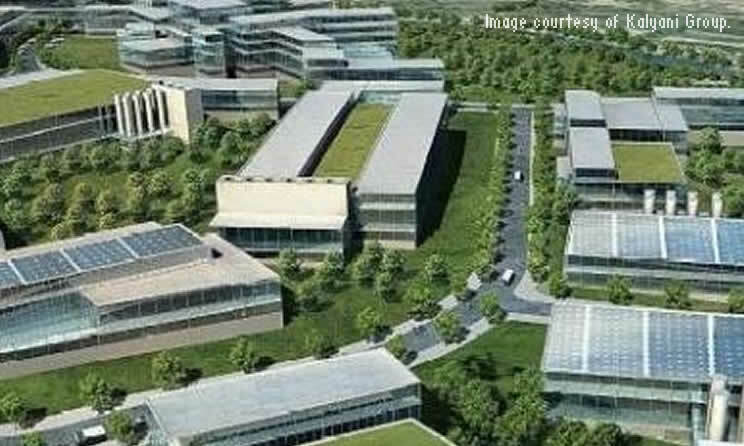 Another multinational company has planned to build its manufacturing facility at Khed City, Pune. Korean technology company AutoGen has signed a Memorandum of Understanding with Khed City in the month of March. It is one of the most significant alliances in the Indian automotive industry. The state-of-the-art manufacturing plant is spread over an area of 16,000 square meters. AutoGen plans to commence the construction of the factory in the next couple of months. Khed City’s world-class infrastructure is ideal for a company like AutoGen. Spread over a mammoth 4200 acres, Khed City is an emerging smart industrial city offering the best-in-class infrastructure. It is designed to maximise the potential of established as well as emerging businesses. The excellent connectivity gives an edge to companies. Khed City encompasses residential, entertainment and educational facilities ensuring high quality of life for the people working and living here. As Pune is an established automotive hub, the management at AutoGen is confident of forging several partnerships in the next few months. It is already supplying hot stamping parts to Mahindra & Mahindra since 2014. From the year 2018, AutoGen plans to deliver the parts to (M&M) from its local plant in India.The reason AutoGen is grabbing attention can be attributed to the fact that it would become the first localized automotive component supplier for M&M. As a company that believes in cutting-edge technology, AutoGen intends to offer incomparable products to its clients. Hot Stamping (also known as hot press forming) is an advanced technology which produces ultra-high strength steel ensuring high safety in the event of a vehicle collision and weight reduction for high fuel efficiency. The high strength steel is formed into complex shapes by high temperature heating about 900°C and subsequent rapid cooling in a press forming process. A government-private partnership in the field of industrial training has brought about transformation of Industrial Training Institute (ITI), Khed, a small town in Pune district. The institute at Khed never thought of transforming in to state of the art workshops and laboratories but partnership with Bharat Forge has led forging ahead of Khed ITI in a matter of 10 years. The ITI which used to have intake capacity of 76 now trains 650 students every year. Khed ITI used to have only five trades but now it has 13 trades like turner, machinist, grinder, tool and dye making, electrician, welding, fitting, refrigeration and air conditioning mechanic, electronics, and tailoring course, which is specially for girl students. There are three courses including instrument mechanic, electrician, electronics mechanic for tribal students. Waman Kothekar, the Principal of Khed ITI said that two new courses of painter general and computer operator and programming have been introduced recently. Kothekar informed that Bharat Forge has invested almost Rs 10 crores in Khed ITI and have developed new building, workshops and laboratories which are state of the art. He informed that almost all the students are employed even before the final examination. Kothekar informed that there is 100 per cent placement for engineering trades and 30 to 40 per cent of students from service trades like refrigeration and air condition mechanic, tailoring, computer operator are self employed. Speaking about ITI’s he said that there are 55 thousand ITI pass outs who got jobs as apprentice last year and the number would increase this year. Toyoma, Jt. MD And Mr. Murata, Sr. Technical Advisor from JSW MI Steel Service Centre Pvt. Ltd. shared their experience of setting up plant at Khedcity. Gantry Installation near KHADKI Railway station on Old Mumbai Pune Highway. We are delighted to let you all know that the very first event of the year, Mahatech 2017 has been successfully carried out by team Khed City. 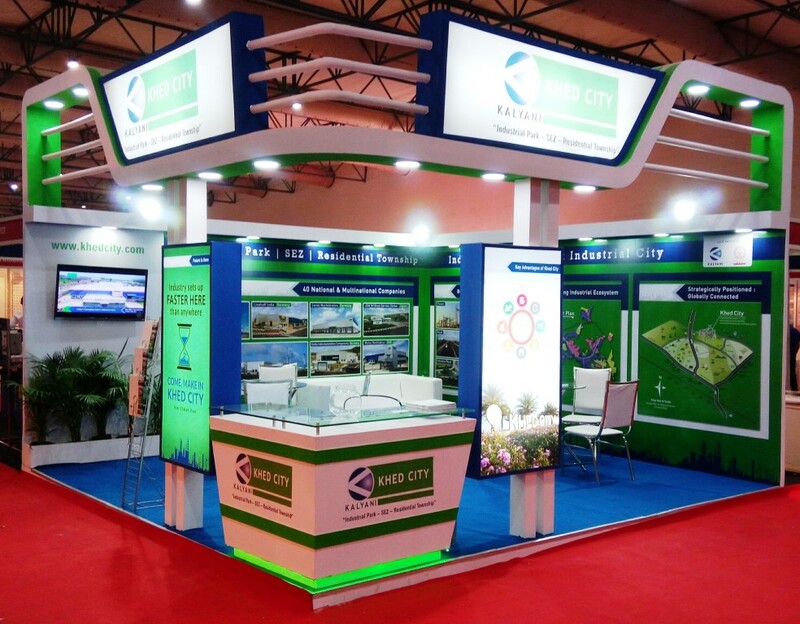 Our endeavour has always been to gain maximum exposure for Khed City through events like MAHATECH and we must say that this event, being one of the biggest trade events in Pune region has always been the right platform to showcase our product. 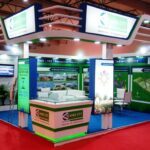 Our stall attracted maximum footfalls and I feel more than happy to inform you that Khed City was also honoured with â€œBest Display Awardâ€ at Mahatech this year. It was a great show of team work, I congratulate team KHED CITY and wish all the best for a great year ahead. Attached are a few glimpses of the event, same also shared on social media. We urge you all to like, comment and share khedcity images and posts to increase its reach and help generate maximum visibility. Amul â€“ The Taste of India, No. 1 Milk Producer will be setting up their Ice Cream manufacturing facility at Khed City, Pune. Dr. K Rathnam, Managing Director â€“ Amul Dairy, signed a MoU with Khed Economic Infrastructure Pvt. Ltd. (KEIPL) on 30th July 2016. Khed City is one of Indiaâ€™s Smart Emerging Industrial Townships, in Pune District, being developed over 4,200 Acres by Khed Economic Infrastructure Pvt. Ltd. (KEIPL), a Joint Venture company between Kalyani Group and Maharashtra Industrial Development Corporation (MIDC). Amul â€“ Indiaâ€™s pride, brought white Revolution, a biggest Co-operative movement in Dairy sector. Visionaries like Late Sardar Vallabhbhai Patel, Late Morarjibhai Desai, Late P.M Lal Bahadur Shastri, Late Tribhvandas Patel and late Dr. Kurian had contributed immensely to this Dairy Co-operative movement in Gujarat. Â It is in fact the backbone of Small and Middle level farmers. â€œPune is our largest market for Amul Ice-Cream and currently we are short in our supply. We wanted a quick set up in and around Pune, and obviously, Khed City qualifies as our preferred destination. We have got around 11 acres land in Khed City for our new dairy plant. The facility is planned to commence its operation in twelve to eighteen months with an estimated investment of over Rs. 120 Croresâ€, said Dr. K. Rathnam, Managing Director â€“ Amul Dairy. â€œInvestment of Amul in Khed City is a pride for us. “Quick Set up” is our tag line. This ready-to-move Industrial Township is one of Pune’s key industrial locations that houses 39 esteemed industrial clients, few of which are Mars International India Pvt. Ltd., a biggest Chocolate Manufacturing Company in Asia from USA, JSW MI Steel Service Center Pvt. Ltd. from Japan, Hyosung T&D India Pvt. Ltd. from South Korea, Gedia India Automotive Components Pvt. Ltd., Linnhoff India Pvt. Ltd., Lenze Mechatronics Pvt. Ltd. all from Germany, Hira Technologies Pvt. Ltd. & Maico Ventilation Pvt. Ltd. from Dubai etc. Khed City is a true testimony of Kalyani Group’s commitment to this sector, our ability to deliver results on the ground. Certainly Amul would bring revolution in Socio-Economic state of Khed Tahsil, said CEO KEIPL. Amul will manufacture ice cream and other Milk products in Khed City. Presence of Amul in Khed City, Pune will give immense boost to the Make in Maharashtra campaign and strengthen the rural economy further. The direct beneficiaries of which will be farmers associated with animal husbandry for producing milk. The local milk producing farmers will now have access to nationwide established market. They will get benefit from the veterinary services extended by Amul and also have access to high milk yielding fodder made available to the participating farmers through the cooperative. Maharashtra embarked on its ambitious 2 crore tree plantation mission in the city on Friday, 1.7.16. Khed City contributed towards the mission by planting 143 saplings within its project boundaries. KEIPL team also participated in a joint plantation activity of 200 saplings at Nimgaon village and 100 saplings at Dawadi village. The initiative was a part of Vanamahotsav 2016-17 and officials confirmed that burning environmental issues like global warming, climate change and environmental conservation acted as the catalyst. Industrial equipment supplier Steam Controls is all set to open up its new plant at Khed City. The sublease deed between KEIPL & SC has been signed on 10.6.16. The new plant will manufacture water level indicators, controllers and special valves for boilers to start with. Khed City is soon becoming a hub of industries from the Engineering sector. After various domestic & multinational industrial houses like Linhoff India, SVIL Automation, Progressive Tool Works (and many more) already having invested here, comes yet another investment from Excellent Engineers. Excellent Engineers is a Pune based engineering company and the plant at Khed City will be an extension to their existing business. Mr. BK Jun, Hyosung Corporation, Korea shared his experience of investment in India and setting up Hyosung India plant at Khedcity, during Maharashtra Investment Seminar in “#”MakeInIndia Week Mumbai, 2016. 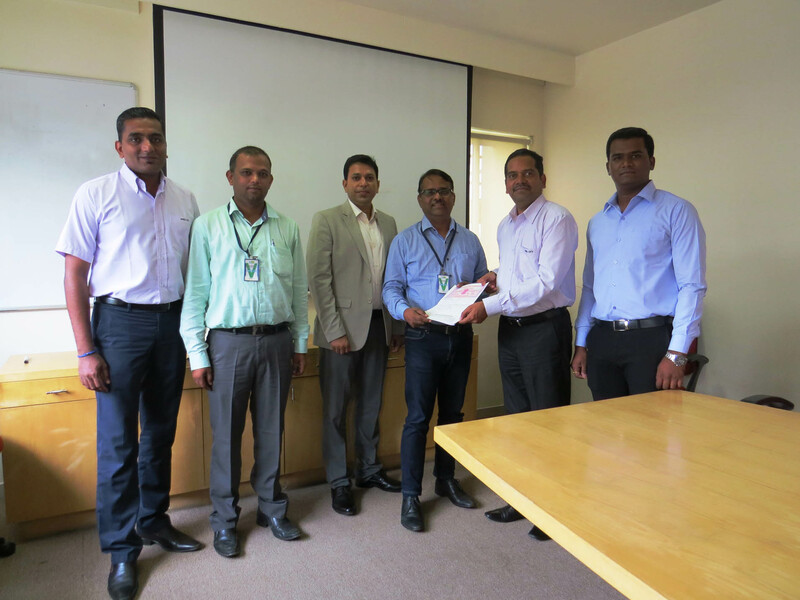 Khed Economic Infrastructure Pvt Ltd signed a Memorandum of Association with Incorporated Food Services (IFS) on 05.2.16. IFS is slated to open up industrial canteen at Khed City which will deliver nutritious & hygienic meals to ease out the life of factory workers, daily wage labourers as well as the managerial staff employed at Khed City. IFS would be the third in the food category business to set up its facility at Khed City, the first one being US chocolate manufacturer Mars followed by Numen India. Hyosung India to set up manufacturing facility in Khed City. Hyosung T&D India Pvt Ltd in process to setup a manufacturing facility in Khed City. Hyosung T&D India Private limited a subsidiary of the South Korean major Hyosung Corporation has selectively zeroed on Khed City near Pune, Maharashtra to set up its green-field manufacturing facility in India adhering to India Governments new national program Make in India. The company will produce high voltage gas insulated switchgears and related accessories using state of art technology for domestic markets & thus contributing in enhancement of the electrical transmission efficiency and reliability. Hyosung has leased about 14 acres of land to set up its project and plan to go in production by June, 2016. 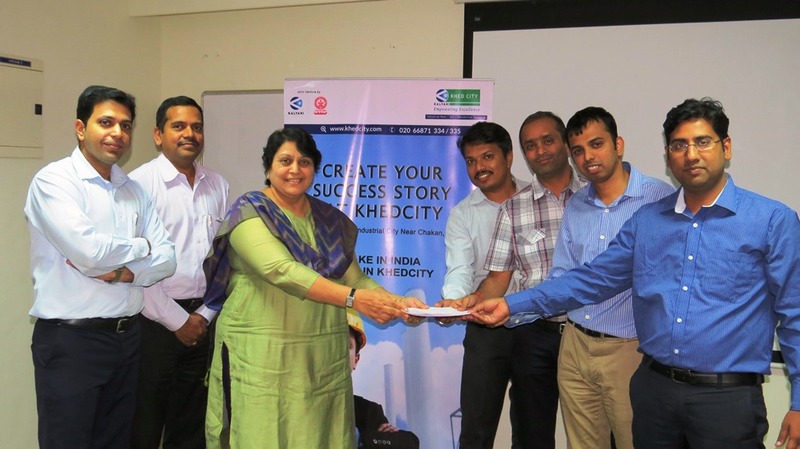 Khed City has been promoted by Khed Economic Infrastructure Limited (KEIPL), a joint venture between Maharashtra Industrial Development Corporation (MIDC) and companies of the Pune based Kalyani Group. MIDC holds 26 per cent of the equity capital in KEIPL while 74 per cent is held by Kalyani Group companies. The project is being developed on 1705 ha of land which is in KEIPL’s possession. Hyosung has chosen Khed City as the most suitable location for establishing its facility as it offered a quick start up opportunity in terms of encumbrance free land, connectivity from all important logistic points, excellent infrastructure at project site, availability of power, water, effluent treatment facilities, trained and skilled manpower etc. Khed city holds environment clearance from Ministry of Environment, Forest and Climate Change, Government of India and therefore is in a unique position to provide investors with a “plug and play” opportunity to set up their manufacturing facilities. Government of India’s “Make in India” and “Ease of doing Business” initiatives coupled with the State government’s strong “Make in Maharashtra” pitch have contributed in Khed city gradually witnessing increased economic activity. There is marked step up in construction activity which is manifest in the presence of large number of ready mix and batch mixing cement plants, bitumen pre mix plants, cement pre casting units etc. on the project site. In addition communication facilities in the area are fast being established as is evidenced from a growing number of mobile towers being set up by various cellular service providers. Clearly the eco system being created in Khed city promises to make it a prominent manufacturing destination in Maharashtra. Some of the major companies who are already engaged in setting up their units at Khed city include MARS India Limited, JSW MI Steel, Lenze Mechatronics, Linnhoff India, Hira Technologies, Maico Ventilation and several others. All these units will contribute in providing entrepreneurial and employment opportunities to the local population. So far Khed city has been able to attract investments to the tune of over Rs. 1000 crores The project is being developed as an integrated industrial park. Local people from the villages of Nimgaon, Dawdi, Kendur and Kanersar from where the project area was acquired have significantly benefitted from development works and opportunities that have been allocated to them by units that are setting up their facilities in Khed city. With investor interest continuing to grow, the local population has much to gain as project development gathers more steam. Hyosung T&D’s choice of Khed city for its manufacturing facility is an indication of the project emerging as a preferred destination for manufacturing investments. Another US based multinational MARS is already in advanced stages of constructing what will be the largest chocolate manufacturing facility in Asia. With several other global and domestic companies choosing to locate their facilities in Khed city the project is poised to catalyse large investments in Maharashtra and become an entrepreneurial and employment generating hub in the state. 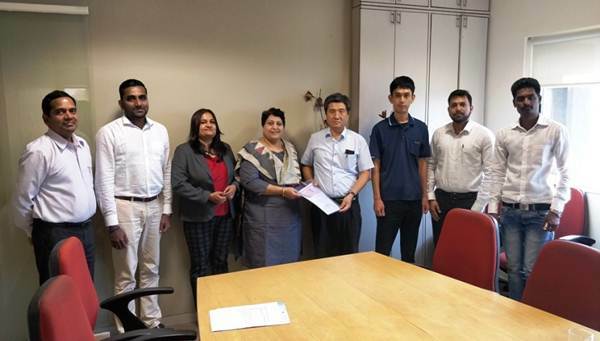 Export Promotion Council for EOUs and SEZs (EPCES) in association with Korea Trade-Investment Promotion Agency (“KOTRA”), organized visit of a High Powered Delegation of “SEZ” Developers to Korea to participate in Seminar on Promotion of Investments in SEZs in India. Mr. Prasad Lahane of KEIPL showcased How Khedcity can be most profitable to manufacturing companies. C.E.O, KEIPL, Ms. Sadhana Naik watering the planted sapling. World Environment Day (WED) aims to be the biggest and most widely celebrated global day for positive environmental action. WED activities take place year round but climax on June 5. WED celebrations began in 1972 and have grown to become the one of the main vehicles through which the UN stimulates worldwide awareness of the environment and encourages political attention and action. Through WED, the UN Environment Programme is able to personalize environmental issues and enable everyone to realize not only their responsibility, but also their power to become agents for change in support of sustainable and equitable development. The theme for this year’s World Environment Day celebrations is “7 Billion Dreams. One Planet. Consume with care”. This is to bring in behavioral changes for adopting sustainable life style so that negative environmental impact of economic growth can be checked. By celebrating World Environment Day, we remind ourselves and others of the importance of caring for our environment. Remember that every action counts. We commemorated the moment on 5th June 2015 by organising a plantation activity at our fire station site in Nimgaon, and a presentation on this year’s theme at our conference hall. Mr. Prasad Lahane of Khedcity visited Seoul, South Korea with a High Powered Delegation of SEZ Developers to participate in a Business Seminar on Promotion of Investment in SEZs in India. The Delegation of SEZ Developers led by Mrs. Nirmala Sitaraman, Hon’ble Minister of State for Commerce and Industry (Independent Charge). Bharat forge was one of the select few private Indian companies to showcase their strengths within the Make in India Pavilion at Hannover Messe 2015. Baba N Kalyani, Chairman and Managing Director, Bharat Forge Limited was conferred with the prestigious “Eminent Engineer Award – 2015” by Dr Kirit Parikh, Chairman , Integrated Research and Action for Development and former member , Planning Commission on the occasion of 13th Foundation day of Engineering Council of India. Baba N Kalyani got the award for his outstanding contribution in the field of engineering industry. He joins the elite club of eminent personalities like NR Narayan Murthy, Founder, Infosys, Baldevraj, Director, National Institute of Advance Studies, Bangalore etc have been previously awarded with this honour by The Engineering Council of India. Mars International India, a wholly owned subsidiary of Mars, Incorporated, has announced it is on track with plans for its first chocolate factory in India. Linnhoff India Pvt. Ltd. recently inaugurated its State-of-the-Art manufacturing facility at Khed City. Spread over a 5 acre plot, the factory will manufacture asphalt & bitumen batch mixers.